Belfair Plantation in Bluffton, South Carolina begins with one of the most spectacular entrances in the United States. 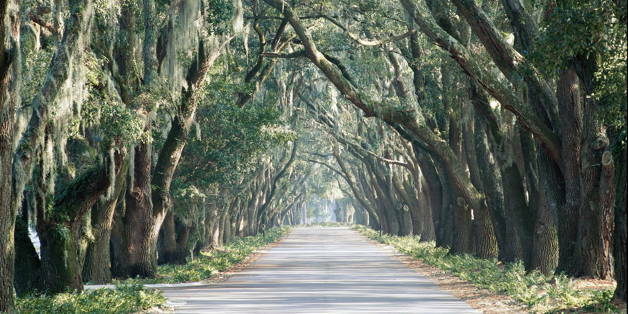 Framed by centuries-old Live Oaks, the “Avenue of the Oaks” is a simply stunning entryway. Throughout the entire Plantation, Belfair exudes a warmth and charm of yesteryear. 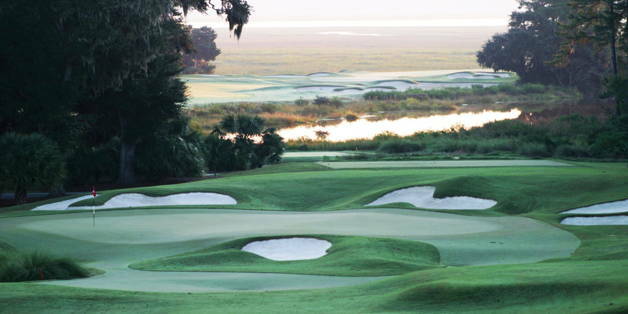 Framed by the Okatie and Colleton rivers to the north and two Tom Fazio Championship golf courses in its center, Belfair is a Lowcountry paradise. The view from the back of the clubhouse is not to be missed. Spend your mornings on the course or in the exercise facility, your afternoons on the porch with a cool refreshment. Belfair homes start in the low $400’s and range all the way to over $2 million for deep water views of Port Royal Sound.Approximately 1100 acres in size, Belfair is located on the mainland in Bluffton, SC five miles from Hilton Head Island, SC on Highway 278. Its waterfront side faces the marshes of the Colleton River. 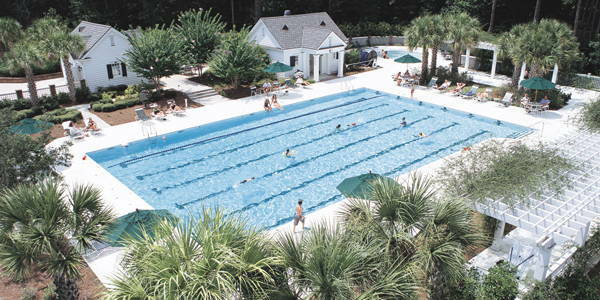 Belfair is 25 miles north of Savannah, GA, 32 miles south of Beaufort, SC, and 110 miles south of Charleston, SC. Along with the magnificent half-mile oak-lined drive, Belfair is home to both prehistoric and historic sites, dramatic marsh and river views, secluded wetlands and Hidden Lake, a 42-acre freshwater chain of lakes. The upper portion of Hidden Lake contains what has been classified by the US Fish and Wildlife Service as one of the more significant colonial wading bird rookeries in South Carolina. The rookery has been preserved as a conservancy, demonstrating the developer’s commitment to preserving the ecological integrity of the land. At Belfair, two championship golf courses designed by Tom Fazio exemplify the Lowcountry beauty with deep-water views, freshwater lakes, majestic oaks and lush native grass. The West Course is a parklands design with Bermuda grass greens and the East Course is a links design with bent grass greens. In addition the two golf courses, there is a 29-acre teaching facility with covered and outdoor driving ranges. Also available are three large putting greens and two short course holes on which to practice. The indoor driving facility is fully equipped with video swing analysis technology. The Fitness and Sports Complex at Belfair is state of the art, offering both indoor and outdoor swimming pools, fitness equipment, programs, and classes. The complex also features six Har-Tru tennis courts, a soccer field, basketball court, playground and pathways for biking, walking or jogging. The clubhouse is a 32,000 square foot building with both formal and informal dining, meeting rooms, card rooms, locker rooms, sauna and steam rooms and the Pro Shop. With over 9,200 square feet, Belfair’s state-of-the-art fitness center offers members a variety of fitness programs, two pools, certified personal trainers, spa services, a dog park and more. The complex also features six Har-Tru tennis courts, a soccer field, basketball court, playground and pathways for biking, walking or jogging. CLUBHOUSE The Belfair Clubhouse is a 37,900 sq. ft. building overlooking Belfair Plantation’s Tom Fazio designed golf course and the Okatie River, recently remodeled in 2013. The clubhouse features both formal and informal dining options for members and guests, meeting rooms, card rooms, locker rooms, sauna and steam rooms and the Pro Shop. The Belfair Clubhouse is a 37,900 sq. ft. building overlooking Belfair Plantation’s Tom Fazio designed golf course and the Okatie River, recently remodeled in 2013. The clubhouse features both formal and informal dining options for members and guests, meeting rooms, card rooms, locker rooms, sauna and steam rooms and the Pro Shop.